Meat can be expensive. So I tend to try and stick a couple of vegetarian dishes into my diet every week to keep the costs down. Not only is this recipe inexpensive, it also only uses one pan, so less washing up for you! 1. Pop the spaghetti in a reasonably large pan and cook in boiling water. Add a pinch of salt to taste. 2. Meanwhile, wash and prepare the kale (I always pull out the hard stalks because they tend to taste very bitter) and chop the tomatoes into halves/quarters. 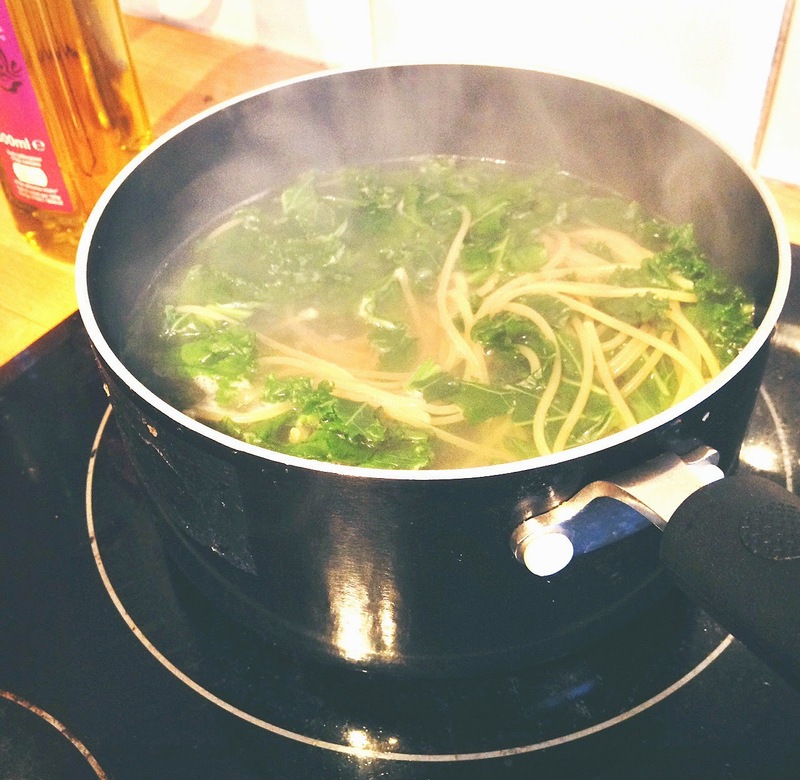 After about 5 minutes of the spaghetti cooking, add the kale into the saucepan. 3. Add the tomatoes a couple of minutes later. 4. Leave to cook together until the spaghetti is soft and ready to eat. 5. Drain the water, leaving the spaghetti, kale and tomatoes in the pan. 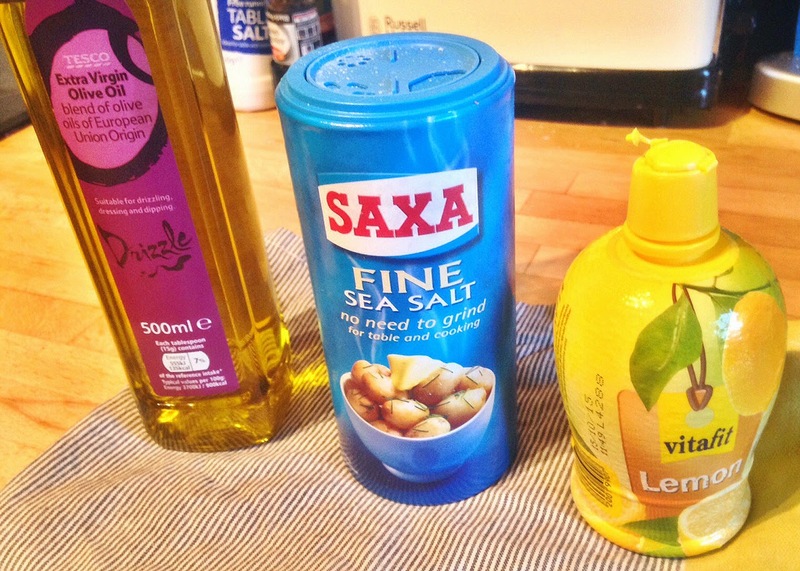 Add the dash of olive oil and the lemon juice to flavour it. I would usually use fresh lemons but I forgot to pick some up! I always keep a bottle of lemon juice in my cupboard for forgetful times like these. 6. Pop it all in a bowl and crumble the feta cheese over the top. And you're done! 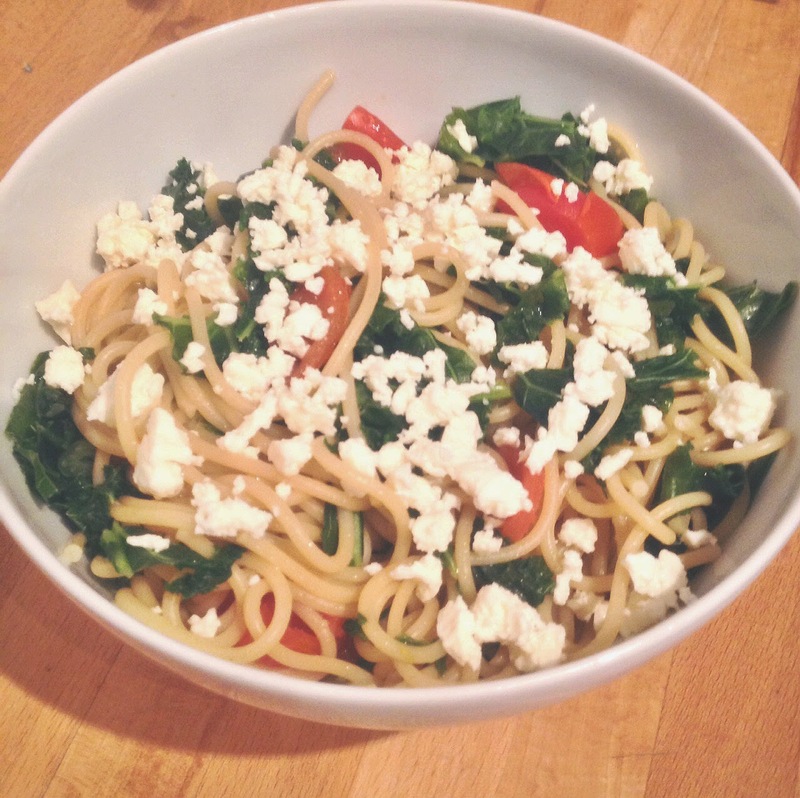 Now go indulge in the kale and feta-y goodness. I LOVE feta cheese! I've just got back from Lidl, I wish I'd seen this before :) I actually picked up some spaghetti from there for 20p!!! It's such good value in there. Next time I'll pick up some tomatoes, feta and kale and try this. Sounds yummy and healthy! This sounds delicious, and so healthy and cheap! A total winner in my books. I absolutely adore feta cheese but always struggle to get it into my cooking so I'll need to try this. I love how it's a one pan deal as well, I do love a one pan dish! It might be nice with some added broccoli too, but then I do put broccoli in almost every meal I cook! :) A great little recipe! Yeah! 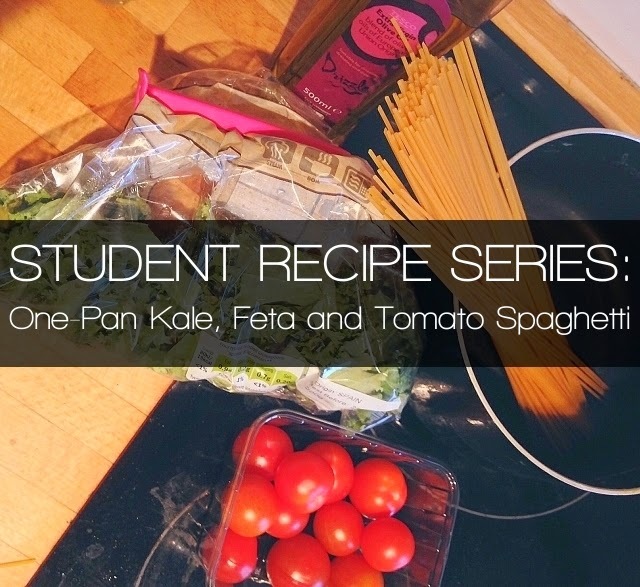 That's Awesome "STUDENT RECIPE SERIES"
I like this recipe . I think it will be better to use cookware set to make this type of food . I also try to make it by using cookware set because it helps not to cling with utensils and gives a proper shape for decoration .proper decoration helps for eating .